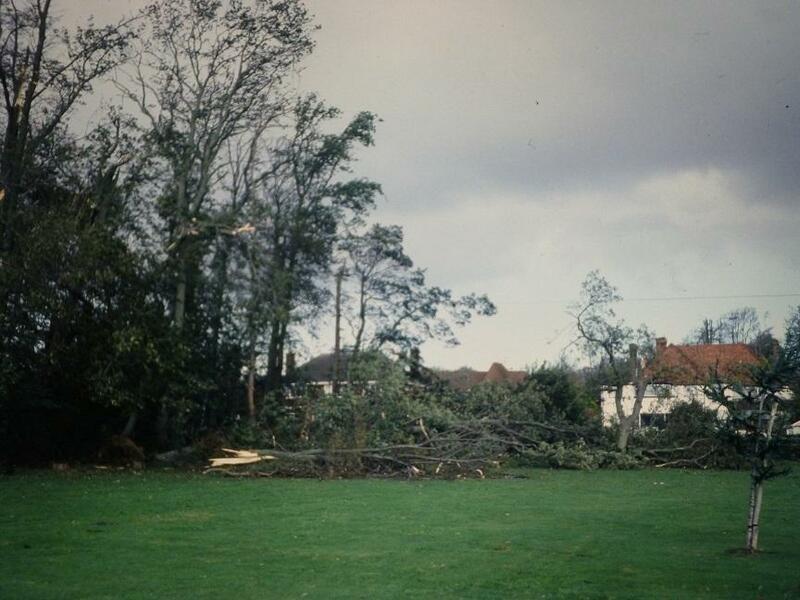 Many of us will remember the hurricane, on that night of 15/16th October 1987, whether we lived in Charmandean or other parts of Worthing or the South-East at the time. 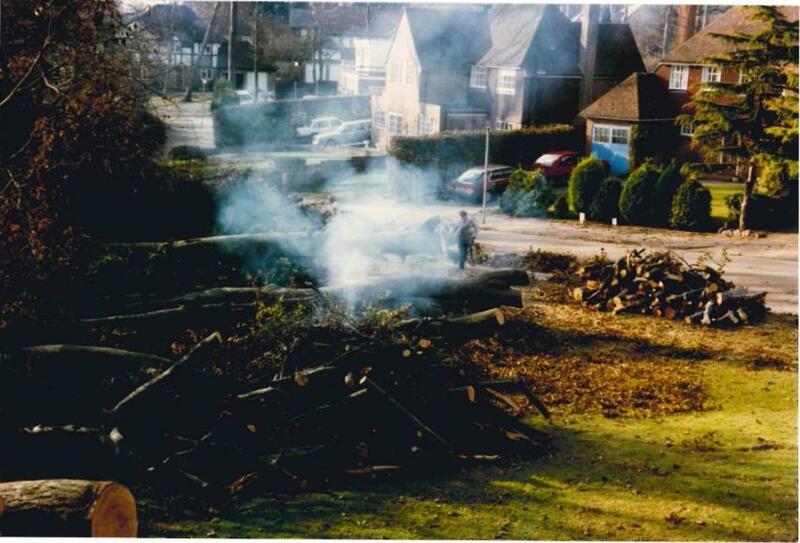 We are in the process of pulling together photos of the aftermath of the storm, not just as it was part of the history of the Estate, but also how the community pulled together to help each other in the days and weeks afterwards. People checked on elderly neighbours, cleared away trees from drives and roads, and many residents worked together to achieve this. If any residents have photos or stories they would like to share, please contact us in the the Contact Us page. 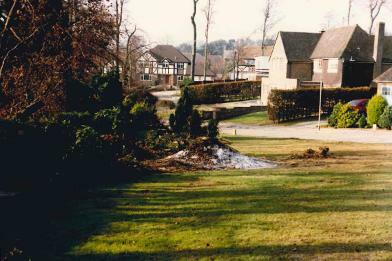 The Charmandean Estate always had a boundary of mature trees, and under planning laws many of them protected under TPO's which adds to the character of the area. 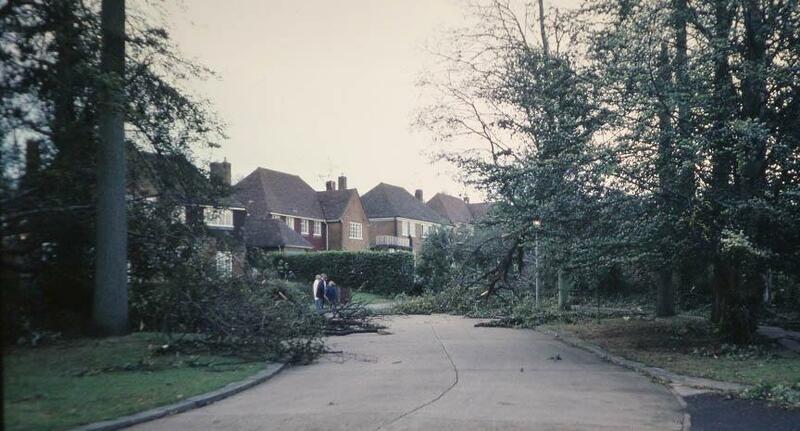 For centuries people wrote about Charmandean and it`s 'park-like' grounds and beautiful greenery, however this also mean`t the storm had a large impact on the estate and changed it forever. We have included some of these as residents may be interested in seeing their houses c.30 years ago. Many thanks to all the residents who have contributed so far to this page! The 150 year old Kitchen Garden wall saved our lives! 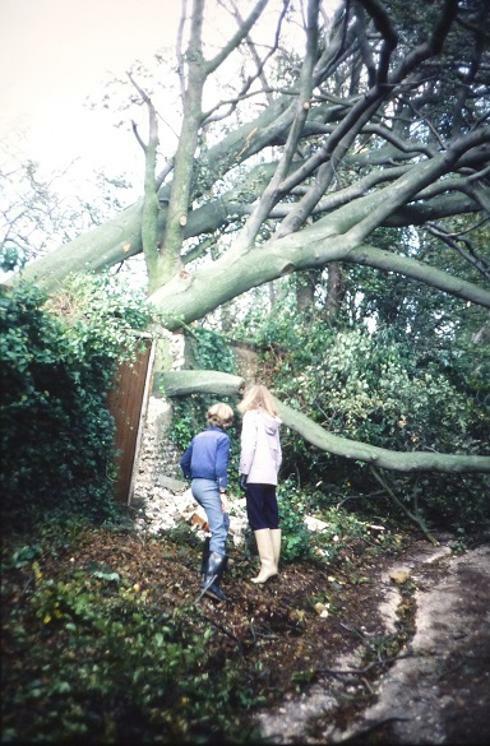 Many trees fell across the Charmandean estate that night, but some residents in particular were exceptionally lucky - when some huge trees fell in gardens on the North side of Longlands Spinney, they came to rest on the flint wall which bordered gardens between the Spinney and Longlands - without this, they would have fell into the bedroom of a house in Longlands. 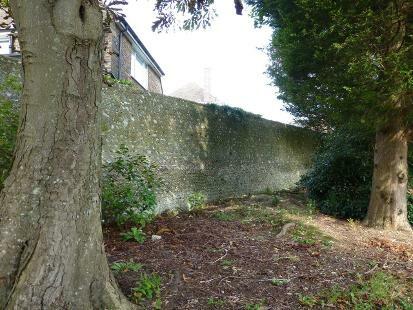 This flint wall was originally part of the walled Kitchen garden from the Charmandean House days. Charmandean Lane was badly affected by the storm, and was impassable for days before a small path was cleared. It took many months until all the fallen trees were cleared from the lane and also the gardens from which they fell, never to be the same again. This shows how dangerous it would have been for people, with trees precariously balanced when falling on top of each other but not safely on the ground. In today's health and safety world this must have made the clearup very dangerous. 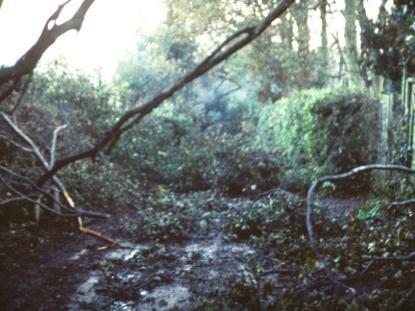 Thankfully some of the trees survived in the Open Space, but the copse suffered badly with trees blown over and branches ripped off. 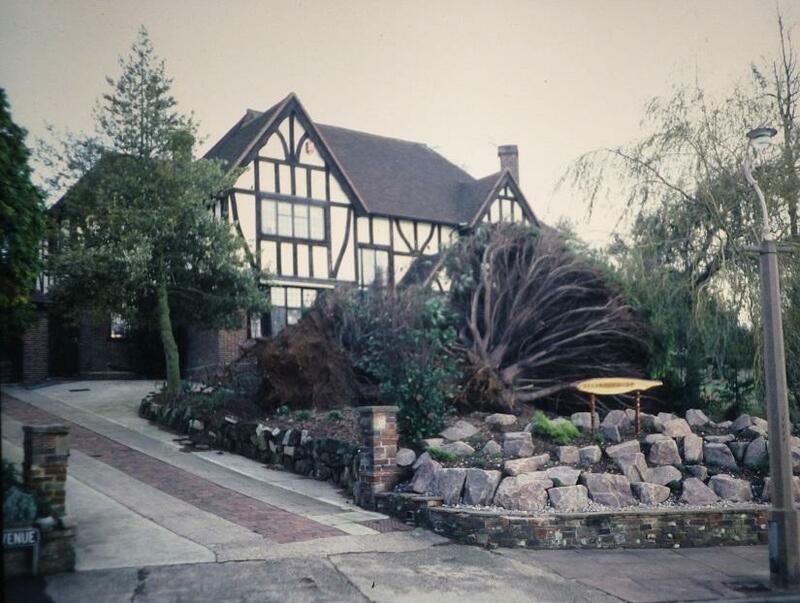 It wasn't just large trees which fell; conifers which had stood for decades also fell and changed the street scene for the estate. 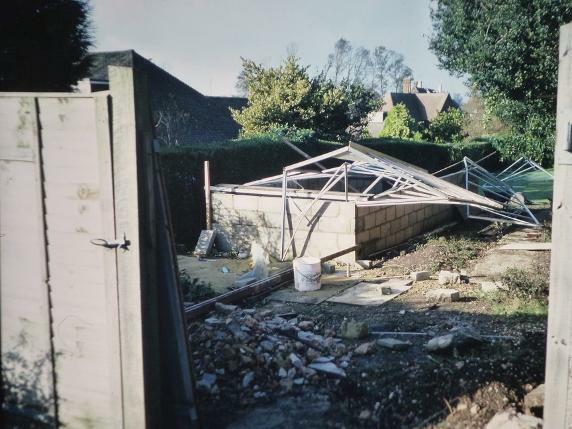 This was a greenhouse before 15th October 1987!. 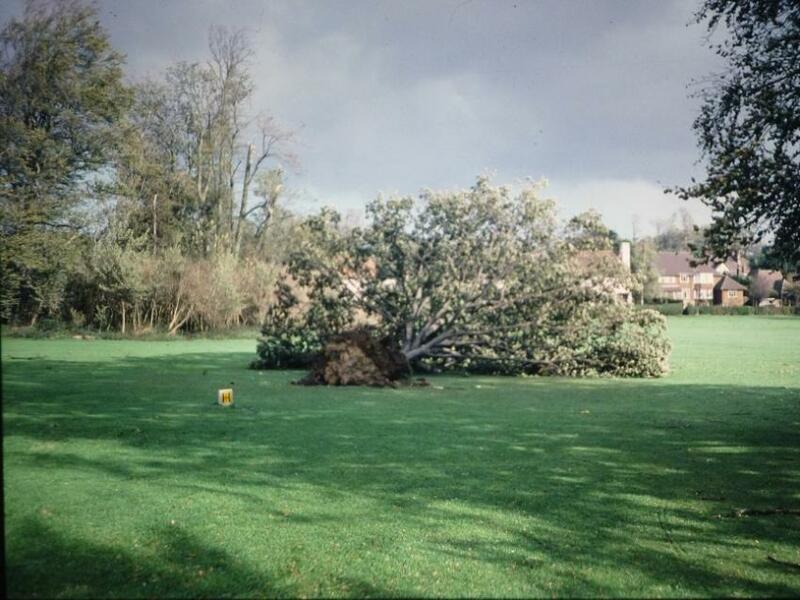 With all it's trees which make up it's character, Charmandean will always suffer from storms. In recent years, more trees have fallen but we have to accept it's all part of nature. The residents of this house had a lucky escape in 2015 when their 75' beech tree fell parallel to the house which was only 30' away! 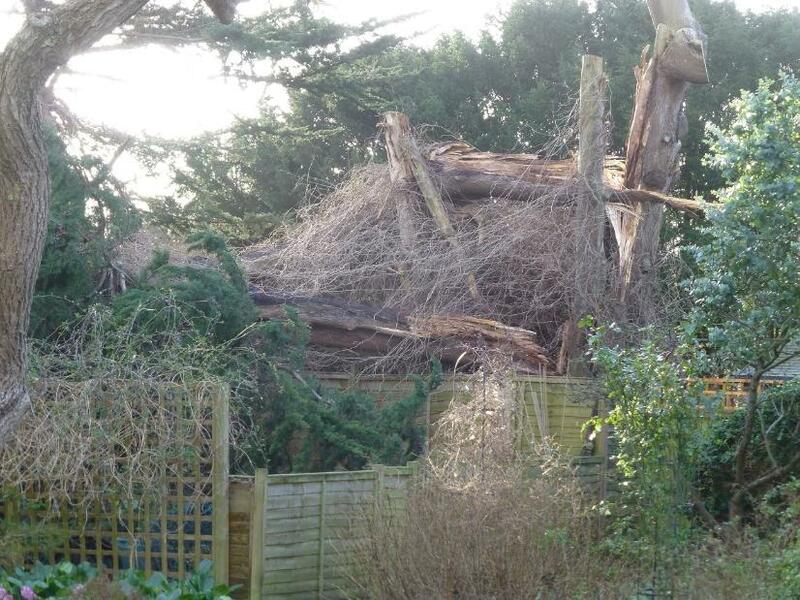 These residents had a lucky escape when a 50' fir split in two during a February storm in 2016; no-one was hurt and it didn`t fall on any garden buildings. Being on higher ground, the Northern boundary of trees of Charmandean will always be more affected by the wind, as can be seen here from c.2016 where after a storm a line of fallen trees is affecting the golfers from their game on the 17th tee!